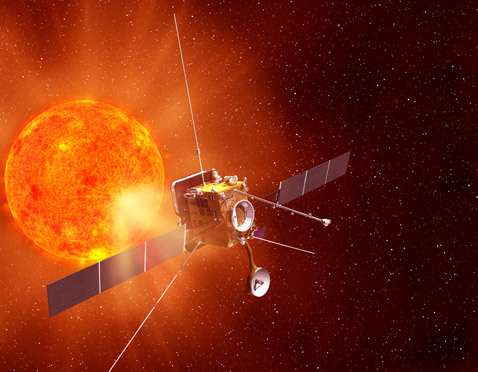 S&K Global Solutions awarded two Small Business Innovation Research contracts with NASA - S&K Technologies, Inc.
Artists rendition of the Solar Probe Plus which is designed to fly into the sun’s atmosphere. A software product being developed by S&K Global Solutions, may provide fault management data for systems like the Solar Probe Plus. S&K Global Solutions was recently awarded two (2) Small Business Innovation Research (SBIR) Phase 1 contracts by NASA. The company is one of five Montana businesses to receive awards. The NASA SBIR program funds research, development, and innovative technologies that fulfill NASA needs, and to a broader extent, non-NASA commercial opportunities. To be eligible, the small business must have 500 or fewer employees or be a non-profit research institution with ties to a small business. S&K Global Solutions is based in Polson, Montana, and has been providing support services at NASA since 1997 for Intelligent Robotic Control Systems and Engineering Integration. The company is owned by the Confederated Salish and Kootenai Tribes and is part of the S&K Technologies, Inc. family of companies. Along with meeting challenges at NASA, they have multiple logistics and information technology contracts with the Department of Defense, Centers for Disease Control, Federal Aviation Administration, and more.